SEPTA's request for an injunction to halt the strike by Transport Workers Union 234 members was temporarily denied by a judge in the Court of Common Pleas on Friday evening. SEPTA filed the lawsuit saying that the strike was a "clear and present danger to the health, safety and welfare of the citizens of Philadelphia and the region." Attorneys for both the agency and the union presented oral arguments for about two hours. The judge did not find enough compelling evidence to issue the injunction at this time. "We are not going to lie down while they can't resolve this strike, and just watch our passengers suffer. Not going to do it," said Gino Beneditti, SEPTA general counsel. TWU Local 234 President Willie Brown said in a statement, "We will fight SEPTA's request for an injunction tooth and nail." The hearing on the injunction will continue on Monday if the strike is still on. SEPTA has stated it will argue for an injunction to have its drivers back on the roads and rails for Election Day on Tuesday. 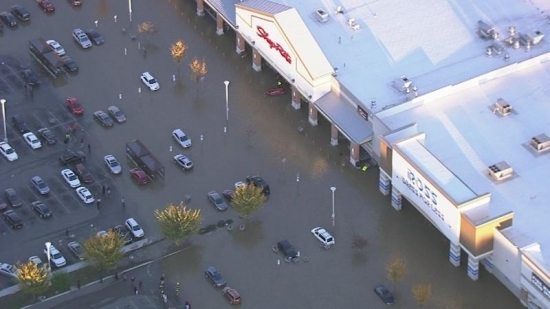 A massive water main break sent millions of gallons of water gushing through a shopping center in East Falls on Friday afternoon. It happened around 4:30 pm when a 48-inch water main broke underneath the parking lot on the 3400 block of Fox Street. The water surged up through the ground and quickly flooded the lot waist deep and into various store fronts. The Philadelphia Fire Department had to rescue around 75 people by boat or escorting them across the water. This area has seen multiple water main breaks like this over the last few years. The damages are estimated at $500,000 including stores and many cars. The Philadelphia Water Department will be paying deductibles and cost of damages depending on your coverage. Big time music makers are in Philadelphia this weekend playing in support of Hillary Clinton. Stevie Wonder played a Get Out the Vote show at CODA on Walnut Street on Friday night. Pop star Katy Perry will be performing a free show at the Mann Center on Saturday afternoon. Clinton herself is expected to make an appearance. The show is free but you must RSVP here. Hillary Clinton also plans to spend her last night of the campaign in Philadelphia on Monday with President and Mrs. Obama.